Americorp International Group takes the stress from parking off your guests. An exceptional valet experience is more than a simple service; the interaction, trust, and ability to offer guests a relaxing VIP experience is essential. When their needs are recognized and met in this manner, visitors are encouraged to become loyal to the business. The valet staff at AIG excel through their superior level of customer service and allow for increased options and convenience for guests. By implementing a "winning through service" attitude, both clients and their customers have their expectations exceeded. AIG is also capable of offering parking garage management and a variety of different parking services tailored to meet the needs of our clients. Electronic parking equipment installation and maintenance. We are fully bonded and insured with Worker's Compensation to protect the services we render. Americorp International Group is managing the variety of different parking services tailored to meet the needs of our clients. 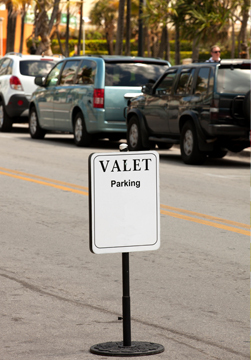 We provide complete parking management services in the following areas such as valet parking, garages, surface lots, parking complexes, and commercial parking. Our Company located in Woodland Hills, California, with offices in Virginia, Washington DC, North Carolina, Texas, and Nevada.